Brian Staveley is the author of The Emperor’s Blades, first book of the epic fantasy trilogy, Chronicle of the Unhewn Throne. Staveley has taught literature, religion, history, and philosophy, all subjects that influence his novels, and holds an MA in Creative Writing from Boston University. He works as an editor for Antilever Press, and has published poetry and essays, both in print and on-line. He lives in Vermont with his wife and young son, and divides his time between running trails, splitting wood, writing, and baby-wrangling. 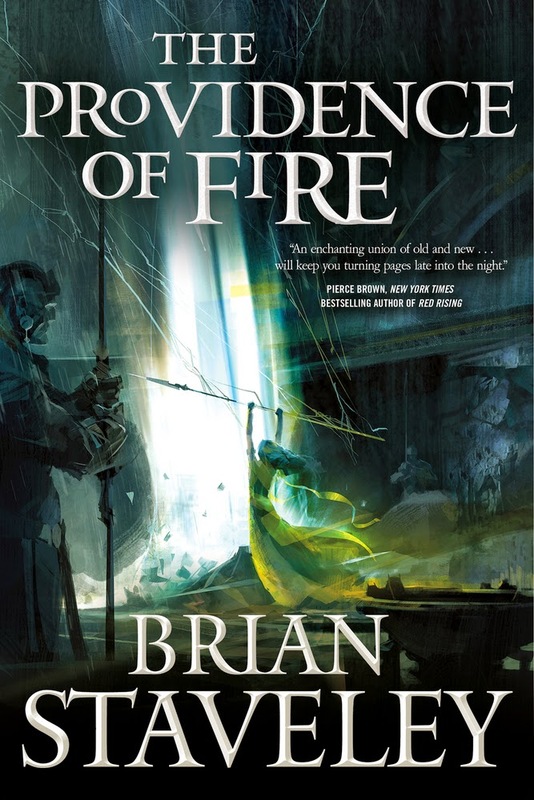 His new novel is The Providence of Fire, volume 2 in the Chronicle of the Unhewn Throne trilogy. I just devoured Leviathan Wakes, the first novel in the Expanse series by James S. A. Corey. Part political thriller, part hard-boiled detective story, part old-school shoot-em-up space battle, the book has a little of everything, including an alien menace of unknown ability and intention. Endings are tough to do well but this book nailed the landing; I thought I saw where it was headed, and I was wrong. I’ll definitely be churning through the sequels. 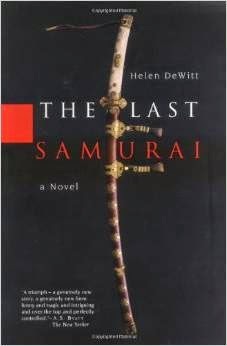 I’m also rereading Helen DeWitt’s The Last Samurai. The book bears no relation to the dismal Tom Cruise movie. This story is about a single mother in London trying to raise a super-genius young child, and about that child’s search for a father. If it’s not obvious from that description, the book isn’t SF or fantasy, but “literary fiction” (whatever the hell that is). By turns hysterically funny, heart-wrenching, and utterly surprising, this has to be one of my top ten novels. I’ve read it four or five times, and taught it to high school kids, who loved it. Looking back at my one-sentence synopsis, it sounds sorta dull. It is not. It’s wonderful. Everyone should read it. Twice. The Page 69 Test: The Providence of Fire.